Tell us about your own education that led you to start VivaConnect? Going by academics I’m just another commerce graduate without any schooling in a technological course. It just transpired during my graduation years as I discovered a profound interest for technology and gadgets that grew over then arising phenomena ‘The Internet’, all thanks to the computer that I received then as a gift from my father. Also I was never much interested in playing games or making friends, hence I took up the route of exploring businesses and technology by going around the world. In a way you can say it was my observation & learning that led to VivaConnect, after all business shall be out of your passion and has less to do with your education, ain’t it? How has your initiative LiveTalk help you towards standing apart? It was one of the most startling project that we’ve executed so far. The entire product, right from conceptualization to going live was conceived over a weekend i.e. within 2 days. It challenged everything from our creativity to capability and the capacity in making it a reality! LiveTalk then brilliantly showcased the capability of our platform by being one of the key enabler during the most ferocious Indian General Elections of all time. As the leaders took over the podium to host 50+ rallies across India, we connected millions of people who dialed in our platform during event to enjoy a live streaming over Mobile. LiveTalk’s success required immense coordination among our team, infrastructure and the telecom operator. In a nutshell, it has helped us in establishing ourselves as a solutions partner who creates solutions based on the problem statement by effectively understanding market and user insights and using technology to bridge the communication gap. .We want to know more about your Zero Literacy, Zero Cost & Zero Balance service offerings i.e. Missed Call Balance Check, Free Voting Platform, etc. Indian market is subjected to a price sensitive consumer base. Hence if a person is charged for connecting with a brand, they tend to get highly reluctant. Plus it also defeats the overall objective of the brands who are aiming to engage with larger addressable audience. Thus, after a lot of permutations, combinations and mixing it up with creativity, we devised services for easy brand interactions over mobile at the lowest possible cost, to the extent of keeping them free of cost for the end users. So our services, iVote that empower Voting & other services triggered over Missed calls, LiveTalk for Free Live Audio broadcast over phone call and MORE to offer Free Mobile Talk-time refills. Can you talk about your other offerings and what makes them so special? We guide brands to establish intriguing customer engagement over mobile through Voice Calls, Mobile Applications, SMS and Emails. The special thing about our platforms is that brands can have over 4 crore interactions in matter of just 12 hours, which is equivalent to covering 2 metro cities. How do you feel being awarded as CNBC Emerging India Award (2009), Small Business Award (2011) and Red Herring – Top 100 Asia Winner (2012) and Mobbys Award for Best New Service LiveTalk (2013? Awards are nothing but an appreciation for one’s work and so it’s indeed wonderful to have as many as we can, yet we do not restrict our vision by putting blinders around our eyes set to bag us trophies. On the contrary our true appreciation lies in our clients smile. Also at Viva we believe truly in moving ahead strong and never holding at anything, then be it success or failure, we move along. We want to know more about how you innovate to help your client build their brands using latest technologies? We follow “Systematic Inventive Thinking” methodologies to innovate and create new products. This allows us to come up with market defining innovations without spending a fortune on expensive research or going through a Trial and Error development phase. Also newer technological innovations are a delight and also extend our offering to brands. Can you talk about the dream project and how it helped VivaConnect? Being it our first project – ZEE DID little masters remains as my favorite project till date. It had a massive nationwide appeal leading to 5.65 crore votes over missed call; the record created in that season remains unbroken till date. As an enterprise, share with us some best practices and processes you use? Though we are a 14-year-old company, our operations resemble to that of a startup. We have our checks and balances in places to the extent required, only to protect our customer interest. We are finicky about encouraging any bureaucratic system as that might slow us down and would hamper our creativity. I feel this approach has leaded us to grow at twice the rate YOY, with stability of a large and mature company. However on the other hand we have stringent data protection policies for protection of Personal Identifiable information (PII) for the various brand campaigns that we undertake. Also as a practice we encourage our solutions, sales and marketing team to think from the prospective of the end consumer of our client while proposing a solution. How do you foresee the large growth market for Mobile marketing in India? I would say that mobile marketing in India has just begun and it’s not even the tip of the iceberg but only a scratch on it. Around 7 million users are seen to add up every month, 2.67 from urban while 4.35 users from rural India. Now the brands are giving a serious consideration to our medium (Mobile),by incorporating it with their Marketing & Advertising campaigns. They’re witnessing enhanced customer engagement too. Without a doubt we see a huge uptake of this medium in near future. We also strongly believe that the future of marketing lies in “Action Marketing”. “It’s about creating a user connect, it’s about engaging with the users and effectively making them consumers , it’s about re-engaging with the consumer and what better medium than a mobile device. We would see this large growth in the form of “Action Marketing on the Mobile Medium”. Would you like to share new changes occurring in the space? With more and more improvements in Voice recognition & location-based services it holds immense potential in a country like India, where various services are built around it and on top of our voice infrastructure. What has been one of your most interesting or rewarding project? LiveTalk, has been a very challenging project as the product was conceptualized, created and implemented in the shortest period of time. It actually seemed impossible to build the system were in we could connect a massive number of concurrent calls with a live event. It’s our most interesting project, kudos to our brilliant teams. Talk about a recent project you completed. What was the concept, solution, location, highlights? We recently launched a campaign for one of the India’s top FMCG soap brand wherein we had to tweak our platform to provide a very specific experience to end-user. The challenged heightened as the call hits surged up making it more complex. However we pulled it off successfully by executing it smartly and all of our efforts have made it the most successful campaign the brand ever had! IT is the backbone of your services. How do you ensure uptime and delivery? We have built our Infrastructure on three different Telco’s located on three different data centers, along with load balanced servers and on cloud data storage which makes it virtually impossible to have any unscheduled down times. Since its inception we have had a record of 99.6% up-time. However one of our core belief is that IT is not the backbone of our services, The real backbone of our services is our motivated and skilled team which have the ethics and values of our organization engraved in them with the clear focus of keeping the “consumer first”. How do you see your company evolving over the next few years? We have evolved into the largest player in India for voice services and now we’ve set our sight to grow into the largest across the globe. Apart from our platform play we will evolve our specialized functions like Mobile Marketing and a few products with mass appeal into Strategic Business Units with especially skilled teams to serve customers and carry out the vision for these units. Mobile marketing has taken time to take off. Was that a major challenge to your business? Yes, though we initially lost a lot of money yet we stayed persistent and saw a future even when others speculated otherwise. That did pose up as a challenge at times but none so strong to break our will. Now as we are having a good run, the focus is over adding more ways in which our customers can have more banks for their buck, and help them realize their objectives as we realize our vision. With new domestic and global entrants in the Indian energy market, do you believe the market is becoming overly competitive? Competition is always good for consumers, we will offer more ways for customers to fetch more value for their money. What are your favorite book, movie, and/or play? I don’t read any books nor do I watch many movies anymore but my favorite movie remains ‘The Shawshank Redemption’. Business is my only hobby and interest, my personal opinion is that if your work, hobbies and interest are the same you will go much higher in life. My dad (also the Chairman of VivaConnect) Mr. K.N. Raichura is my role model. I have learnt a lot from him from business to ethics to values and am passing it to my children as well. His landslide victory in the Lok Sabha elections of 2014 bears a testimony to the fact that India as a country has awakened to transform the face of Indian politics. An indestructible defense system, massive bunch of security personnel, commandos, VVIP guest list including top leaders from SAARC countries like Pakistan’s Prime Minister Nawaz Sharif and Sri Lankan President Mahinda Rajapaksa with other dignitaries are set to mark their presence at Rashtrapati Bhavan for conduct of oath-taking ceremony of Narendra Modi as India’s new Prime Minister. While the masses look forward to the event, a live telecast is expected to receive massive coverage and broadcast across all the major news channels in India. Any medium of communication will be subject to constraints like power cuts, web-traffic and inaccessibility, considering the peak time blues. Nevertheless, BJP as a brand yet again manages to reach the masses with a local-pulse, by combining the power of mobility and technology. Hence, the ceremony will be made available ‘LIVE’ over mobile and landline phones wherein users across the world can dial +91-22-4501-4501, irrespective of the geography and get easy access to the ceremony! Even formerly, BJP had embraced this direct means of connect to masses through similar live broadcast of their first rally held in Rewari (Haryana) after Narendra Modi was appointed as their PM candidate. The rally was primarily meant for ex-service men in Northern India and BJP wanted to ensure massive reach. This is when it partnered with VivaConnect, an innovative Mobile Marketing Company to broadcast the rally ‘LIVE’ on phones. The service became an instant hit and consequentially applied to every major rally of BJP. For the first time ever in the history of politics that such unique arrangement will be made available for the masses! Dial in +91-22-4501-4501 on 26th May, 6.00 pm onwards and be a part of the significant event, ‘LIVE’ as it happens! The Mobile Marketing Industry in India is currently growing at a very rapid pace. 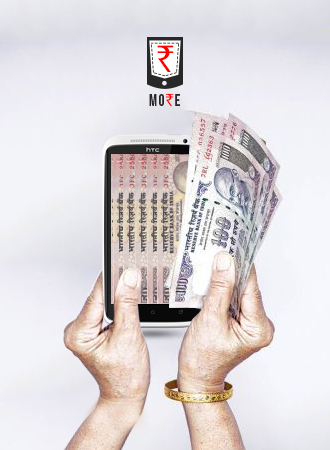 An average Indian spends more than 6.4 hrs on the mobile phone everyday. The mobile device today has effectively become a radio, a clock, a music player, a gaming device, a newspaper, a video player, in fact it has become the primary communication and entertainment device for a majority part of the consumers living in the media dark areas of India. With more than 550+ Million active mobile users and more than 147 Million being active mobile internet users in India, this medium has today become one of the largest personalized reach medium across all media vehicles. Also approx. 66% of users access Facebook on their mobile phones and 40% of users access Facebook only from their mobile phones. Nearly 37% of YouTube Videos are also consumed from Mobile Devices. Marketers have the opportunity to engage and re-engage with these users through Paid Media touch points such as SMS Services, Voice Services, Missed Call services, Video Ads, In App advertisement and Owned Media platforms such as Mobile Apps, Voice Portals and Mobile websites depending on the target audience of the brands. The influx of cheap smart phones has already triggered the mobile internet revolution in India. A recent IAMAI report states that India would have approx. 185 Million Mobile Internet users by June 2013 which allows marketers and brands to reach 185 Million always connected users. However the largest challenge facing the Mobile Marketing world is measuring the efficiency of the medium and calculating the ROI for monies spent on Mobile Marketing. The industry does not have any defined and standardized framework to measure the efficiency of this medium like other mediums such as TV, Radio and Print. Also since mobile marketing in India is evolving by the hour, today’s mobile marketer does not have the luxury of any mobile media planning tool which can help him make media plans on the basis of target audience, reach and frequency. In India, a lot of marketers are using this medium only to amplify their brand communication that is already being done on TV, Radio, Print and Social Media platforms. As marketers take a step forth to strategize & initiate Mobile First campaigns for brands, developing brand proposition and leveraging its power of engagement in multiple ways, then that shall truly be the dawn of mobile marketing In India. Brands opt MORE to reward instant cash to customers! VivaConnect brings yet another service to elevate brands engagement with its customers over mobile. This time its delivered through a captivating package – MORE, an acronym for Mobile Recharge. The service is designed especially for brands to offer Instant gratification marketing schemes, by delivering instant mobile talk-time refill to its customers in return of a product purchase or on engagement with brands marketing activity. The service empowers instant redemption simply over a missed call or short text messages (SMS). MORE exhibits absolute simplicity as its developed bearing in mind the characteristics of urban and more importantly rural user base of Indian population. It magnificently overcomes the challenge posed by these diametrically opposite user base. Considering that urban population is always in rush and needs instant services, while the rural population is much at ease but not tech savvy. MORE not only saves time and hassle for customers that they often suffer while claiming rewards but it also gifts them something valuable. This service supports every mobile handset in the market and it works equally great for prepaid as well as postpaid customers. Moreover it works seamlessly for subscribers of every telecom operator in India, which means anyone and everyone can enjoy the rewards without any gimmicky condition. Moreover, integrating MORE in promotional & marketing campaigns would build up brands credibility among its user base and lead to brand loyalty. ‘More than 90% of the Indian Mobile Users consist of prepaid users with a majority of users falling in the rural geographies. Today a lot of brands want to engage and re-engage with this rural audience to build awareness for their products and what better way than building awareness and brand salience by rewarding these audiences with instant recharges. Mobile Talk-time and recharges has also seen the highest percentage of redemption in the mobile coupons category. The next phase of MORE would see the implementation of Mobile Internet Data Packs which according to us in the next big gratification service urban audiences are looking at. This is based on an internal research done by VivaConnect in 6 tier 1 and tier 2 cities.’ imparts Bharatesh Salian, Chief Strategy Officer at VivaConnect. MORE platform provides detailed analytic and consumer behavior insights to the brand on an integrated real-time dashboard which helps the brand measure the campaign dynamics too. Also the doors is always open for discovering innovative ways for building interaction over mobile.